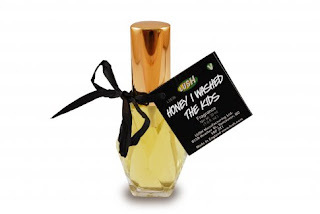 Lush Honey I washed the Kids scent is the most amazing scent ive ever smelled. 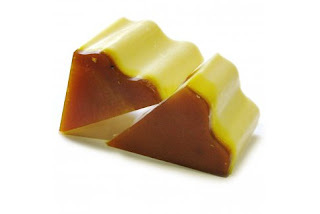 Its Honey,Toffee,Caramel infused with sweet orange oil. Its one of Lush's best selling scents. I instantly became addicted,and now I have the soap,solid perfume,and most recently, the limited edition liquid perfume. Its simply liquid heaven in a bottle! I purchased mine at a special Lush party,and my Lush store only had the special limited fragrances for one day;however they have some online which are selling quick! Being at Lush is like being a kid in a candy store..theres so many delightful,delicious products! I love that the company is cruelty-free,and has tons of natural,vegan ingredients. If you haven't been--you must go to Lush and experience the ambience! You can purchase Lush limited edition perfumes here! I have been to Lush, but was lukin' here n there 4 help coz I didnt know wat 2 buy! Wud really appreciate any recommendations! thnq 4 d sweet comments!